Dačić – who represents a country that has changed its name three times in the past 30 years – made the statement on Thursday. 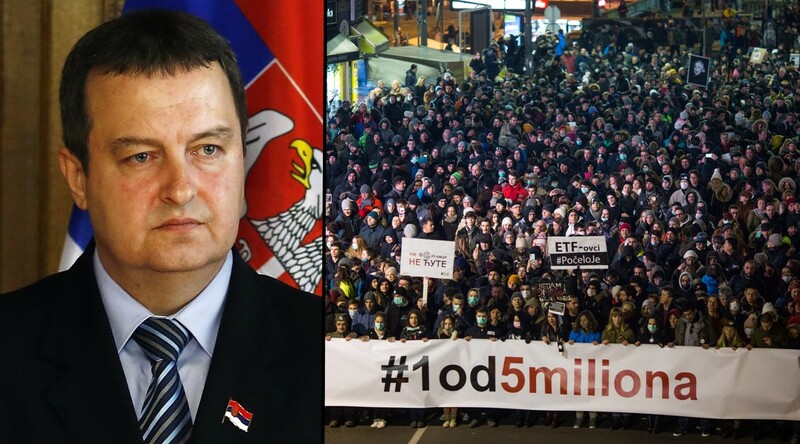 With Brexit negotiations collapsing, he advised Serbs to avoid the UK’s dangerous “daily demonstrations” and instead stay at home, where the protests only happen once a week. “I recommend that they don’t go [to the UK], so as not to put themselves in danger,” Dačić actually told local news site B92. Several linguists analysing Dačić’s accusation have concluded that it is indeed the most ironic thing anybody has ever said. The researchers went on to clarify that their criticism extended only to the Serbian government, not the country as a whole.